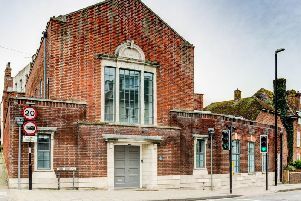 Murmurations Gallery, Bexhill is celebrating its first anniversary since opening in the town last year with the launch of their Winter Open Exhibition on November 29. The exhibition, entitled ‘Art – Form and Function’, will marry the two art traditions of Art and Crafts. The exhibition lasts for 5 weeks from November 29 until January 1, 2017. Deadlines for submissions is November 27.